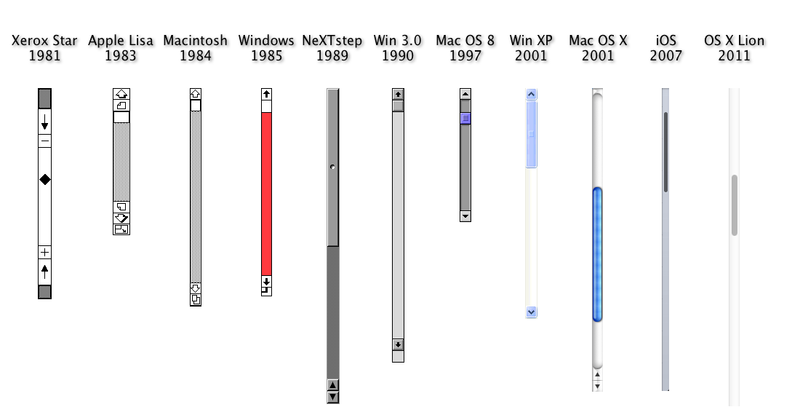 We’ve had scrollbars nearly since the invention of graphical user interfaces. At first they were bulky, ugly, eyesores that took up precious screen real estate. But now they’re elegant and simple. 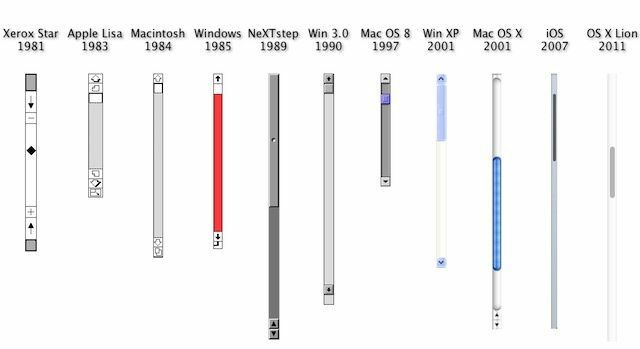 The image above shows some of the major scrollbar changes throughout UI design, and sure does make us glad we’re not stuck with the Apple Lisa scrollbars anymore.